With increasing levels of computational power and an ocean of available data, algorithms and artificial intelligence (AI), today, almost every company is undergoing a digital transformation. Having seen such tools boosting efficiencies across disciplines such as marketing and finance, EvueMe Selection Bot, is enabling organizations to embrace the Digital movement with cutting edge solutions in the recruitment and assessments space. EvueMe Selection Bot, a national winner as an innovative startup of India in the Economic Times Power of Ideas 2017, founded by ex-corporate veterans & DCE/IIM-B alumni, today announced signing a Strategic Partnership Memorandum of Understanding (MOU) with The National HRD Network (NHRDN), a Global Centre for Grooming Leaders and the National Apex body of professionals committed to promoting the People Development movement in India. 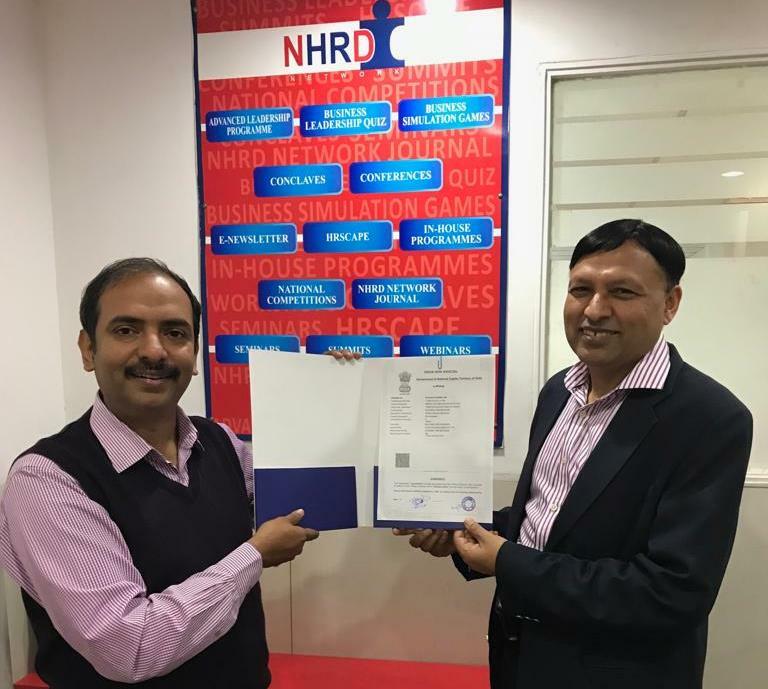 As per the MoU, The National HRD Network will be launching a new Product named “NHRDN Interview Bot” which will be a “Robot Interviewer on Demand” in strategic partnership with EvueMe Selection Bot. The National HRD Network and EvueMe Selection Bot will work in collaboration to use cutting-edge technology to enable organizations move up the Digital Adoption curve in the HR Space and simplify the entire assessment process, enabling professionals to take interviews from the comfort of their premises using their own devices, at their own convenient time, with a “Robot Interviewer on Demand”. This makes the assessment process simple, user-friendly & utilitarian. Further EvueMe Selection Bot will extend its expertise in developing assessment question banks relevant to every segment of the target audience.